Paper towels are two times more absorbent than before to easily wipe away your toughest messes. Trap and Lock technology quickly absorbs liquids so you can clean up and move on without wasting time and energy. Each sheet handles spills fast with thick quilts to clean more with less for cost-efficient performance. 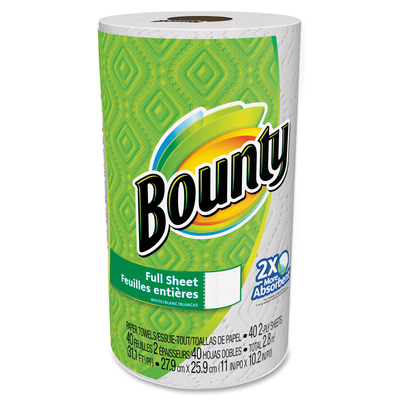 Paper towels are designed to fit standard, kitchen towel dispensers for perforated rolls (sold separately).